To fully tap into the potential of today’s heterogeneous machines, offloading parts of an application on accelerators is not sufficient. The real challenge is to build systems where the application would permanently spread across the entire machine, that is, where parallel tasks would be dynamically scheduled over the full set of available processing units. In this report we present SOCL, an OpenCL implementation that improves and simplifies the programming experience on heterogeneous architectures. SOCL enables applications to dynamically dispatch computation kernels over processing devices so as to maximize their utilization. OpenCL applications can incrementally make use of light extensions to automatically schedule kernels in a controlled manner on multi-device architectures. A preliminary automatic granularity adaptation extension is also provided. 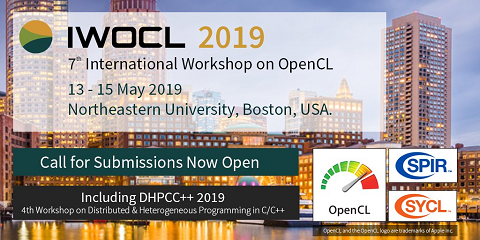 We demonstrate the relevance of our approach by experimenting with several OpenCL applications on a range of representative heterogeneous architectures. We show that performance portability is enhanced by using SOCL extensions.